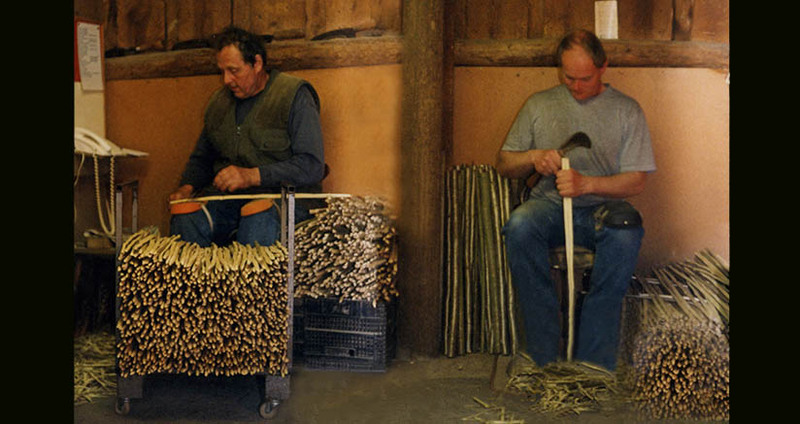 A long with the Technical pages, this section hopefully forms a comprehensible and comprehensive guide to the art of thatching. Before looking at the various materials in use today it would be useful to explain why there are so few…. 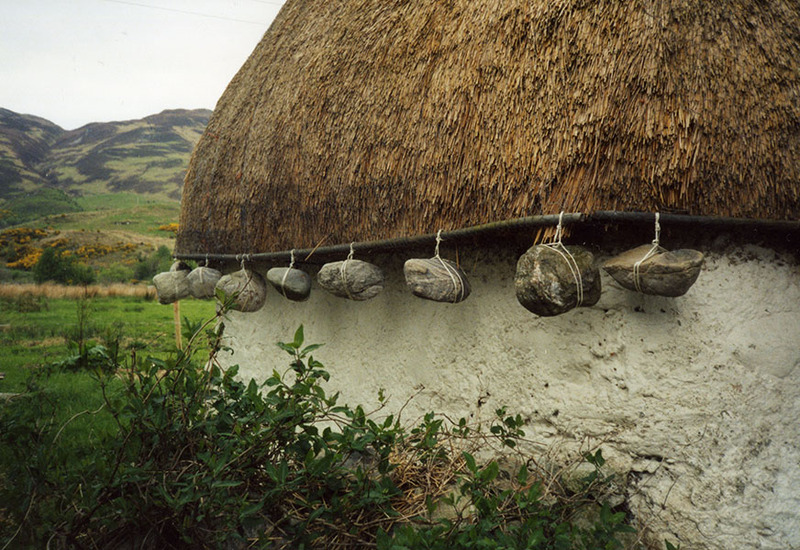 The vast majority of modern British thatching, uses just two types of plant. Water reed and wheat based straw. Just a fraction of the wide range of thatching materials, employed by the medieval thatcher. Several factors have contributed to this situation. Most importantly, is the severe decline in the trade; where plants other than water reed and wheat, were the material of choice. This is mainly in the north of Britain. 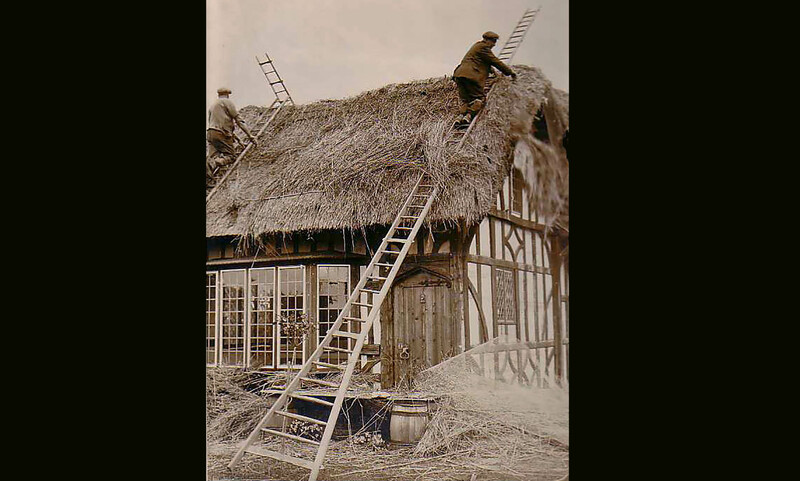 However what thatch remains here, does still use a wide variety of thatching materials. The trade in this area often follows an old principle. That of using whatever suitable material is at hand. 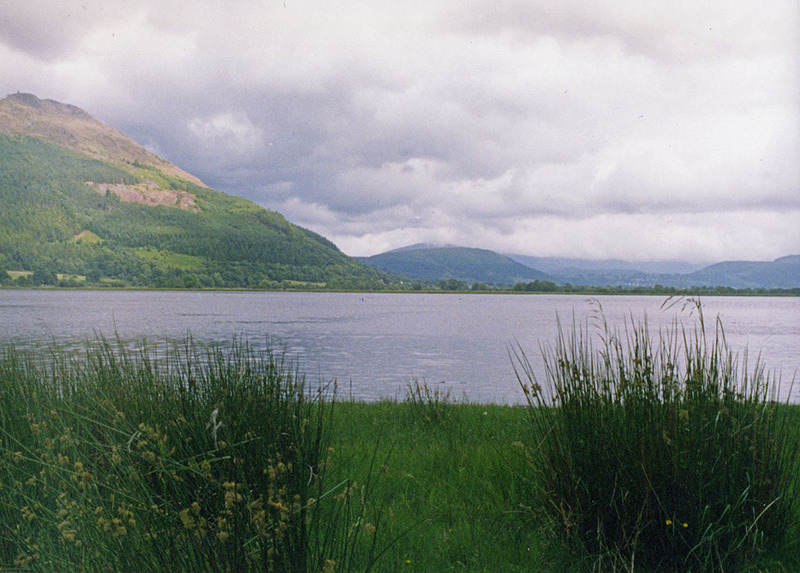 Whatever is at hand… Bassenthwaite Lake , in the northern Lake District, is surrounded by many acres of rushes. 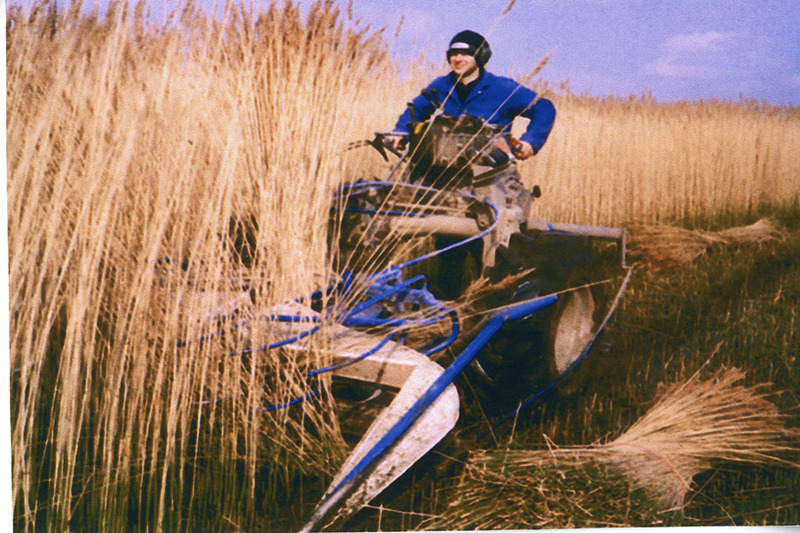 Local tradition has it, that a shilling (5p), paid to the parish council; allows a load of rushes to be cut. A resource from time immemorial; these were used to thatch the local hay stacks until the 1950’s… Further south, the Town Clerk of Weymouth once charged sixpence (2 1/2 p) per day; for the right to cut water reed at the Radipole beds. 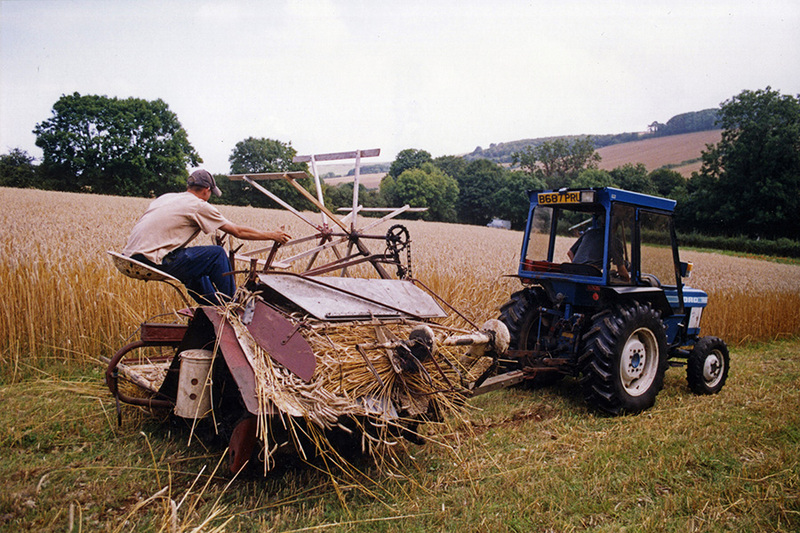 In areas where a cereal crop, provided enough straw for thatching then this inevitably became the material of choice. From oats and barley in the north, to rye or wheat further south. For thousands of years farmers reused their cereal seeds and slowly created a unique variety, suited to their land. These land race types, could be up to six feet (1.8m) in length. A look at many of the old images found on this site, will show some very long crops; that reflect all this biodiversity. Victorian science changed things greatly, in creating new, higher yielding types of cereal. That were also short enough, to fit into the new mechanical thrashers. (But still longer, than those mostly found today.) 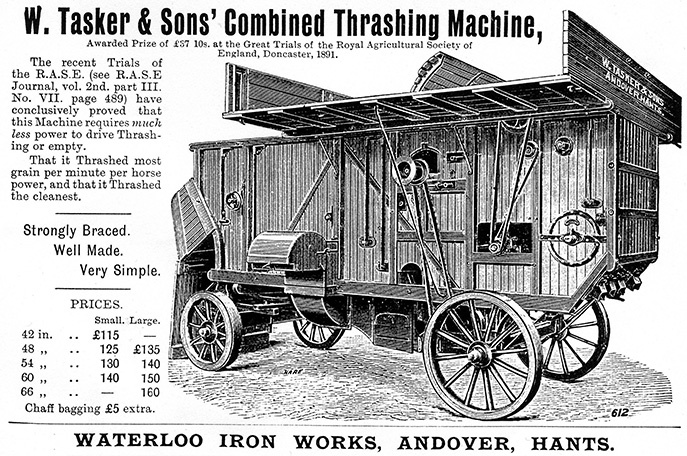 This revolutionised nineteenth century, arable agriculture. 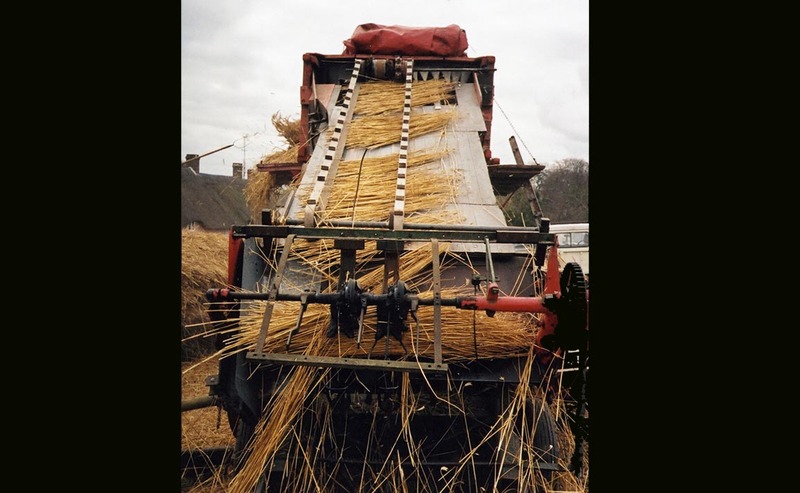 Wheat, always a favoured thatching material, was altered a great deal. 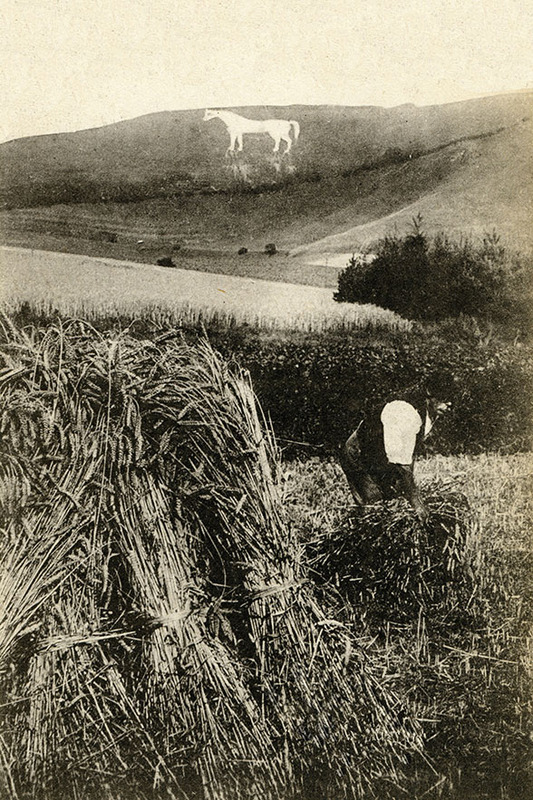 Long stemmed wheat, in Westbury Wiltshire; a century ago… Old images of harvesting, regularly show crops, almost as tall as the harvesters! 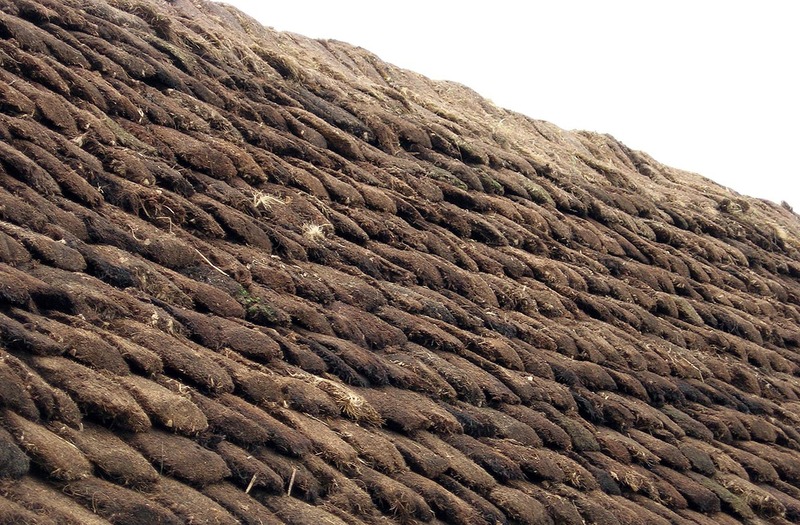 When examining old, multilayered thatch roofs, the old worn straw is often longer than it’s modern replacement. Traditional varieties of cereals, also came under threat, as seed producers went over to shorter types of crop, more suitable for the combine. But enough older varieties survived, to carry the trade through some tough years. 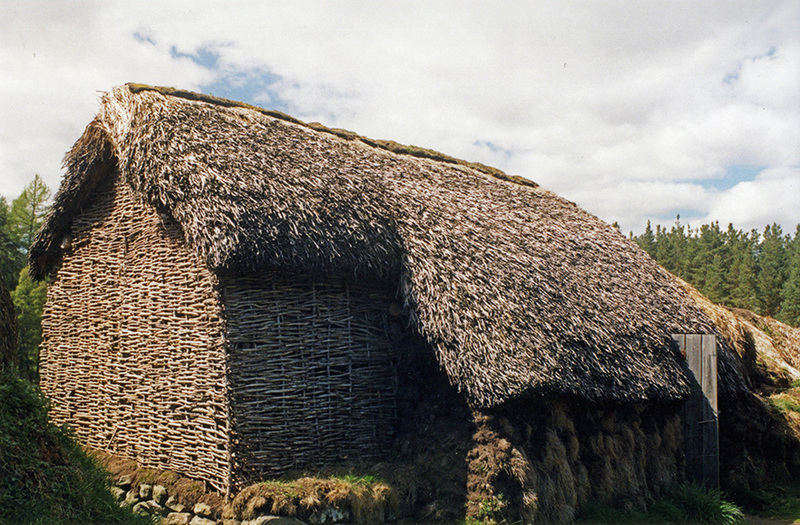 Thatching materials can be divided into two groups; cultivated crops and gathered, often managed, wild species. Those in greater or lesser use today; are the gathered species of… Bracken; pteridium aquilinum… Broom; cytisus scoparius… Heather; calluna vulgaris… Marram Grass; ammophila arenaria… Common Rush; juncus… Sedge; cladium mariscus… and Water Reed; phragmites australis… And the cultivated straw from… Barley; hordeum vulgare… Oats; avena sativa.. Rye; secale cereale… and Wheat; (mainly bread wheat) tritcum aestivum… A hybrid of the rye and wheat plants, Triticale is also now widely used.